I have the unique privilege to travel North Canton and the surrounding area, scoping out excellent destinations in the area and highlighting them for our readers. We have titled this iniative #MondayMunchies, and have featured BAM! Healthy Cuisine, Peace Love & Little Donuts, Cafe Gelato and more! 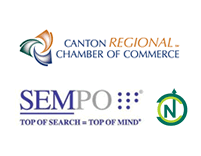 North Canton is home to all sorts of amazing businesses and restaurants and this is our small way of bringing those businesses to the surface. This visit covers a couple of locations under the umbrella of Gervasi Winery and Villas, both the Crush House and The Twisted Olive. If you visit the vineyard and villa location, nestled between Canton and North Canton just East of Route 43, you’ll see The Crush House right alongside the Middlebranch Trail. The Crush House has actually worked hand-in-hand with the city to help make the trail extension a reality. As for the restaurant and winery itself, we visited The Crush House for lunch and the vibe is perfect to unwind from your busy office. Speaking with the staff, they pride themselves in having created an casual and affordable destination — and I couldn’t agree with them more. I was comfortable in jeans and my lunch didn’t dent the pocket anymore than other area restaurants would have! I also had the opportunity to tour the winery itself, which I would encourage you to do yourself (just check the site for days and times)! While we hopped in during the cooler Ohio temps, I will be sure to revisit once Spring hits because they have beautiful balcony seating that overlooks the estate. Have you visited The Crush House yet? Comment below and let us know your thoughts! The Twisted Olive is right outside the city of North Canton, actually in Green on the location that was once home to the Belden family (Not to be confused with the Beldings from Saved By the Bell, we’re talking North Canton’s Belden family). Admittedly, the team at The Twisted Olive confessed that there was not a ton that needed done to this gorgeous home. It sits right next to a natural preserve and has inside two floors that contain unique settings of all sorts. A massive bar, cozy booth seating, outdoor patio seating, a massive dining room, a unique basement pub and more! You have got to get over there, enjoy a meal firsthand and be sure to take a moment to walk through the restaurant. The wine room in the basement, behind the bar, is actually the originally shelving! The men’s room, hidden away in the basement just beyond the phone booth, was actually originally a gunroom with hundreds of rifles! The copper piece above the fireplace just inside the front door was part of the original home — it’s so cool! There is a room at the top of staircase that can be reserved for business meetings — you only pay for food, no reservation costs! The “Four Seasons Room” beyond the bar is equipped with air conditioning, heating, fans, shades, and a heated floor — no matter the weather, you’ve got a patio to sit on! What other tidbits do you know about The Twisted Olive? Share them in the comments! Here are a few pictures I took while visiting both locations.